Lisbon is one of the greenest capitals in Europe. From small parks that are integrated into the center of the city, to great gardens that exhibit true natural beauty – the Portuguese capital has some of the most outstanding parks and gardens. 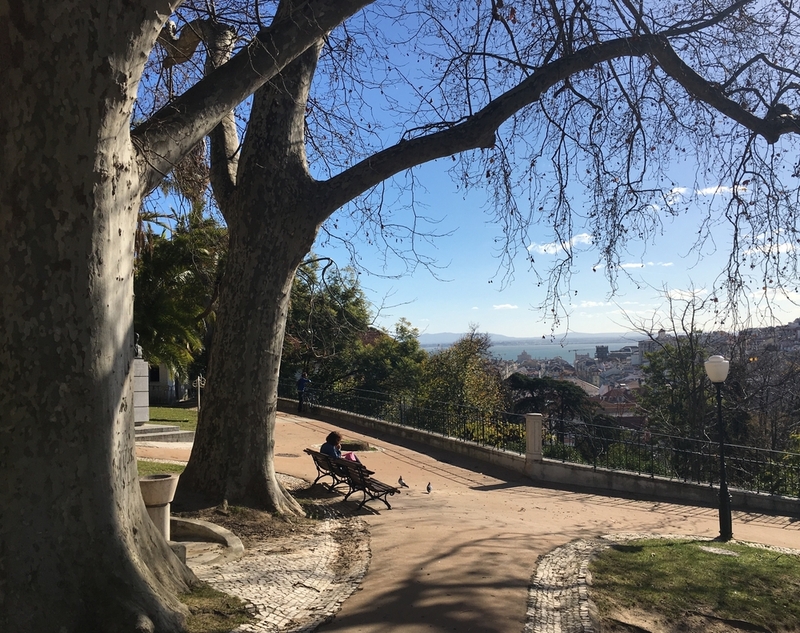 Jardim da Estrela is a lovely neighborhood park that is very well integrated into the city of Lisbon. It is popular with locals, especially families, as it has a duck pond and a large play area. Jardim da Estrela is also known for its amazing variety of exotic plants and trees, as well as various sculptures by noteworthy artists. In addition to this, there is a cafe near the pond, where visitors can relax and enjoy a cup of coffee and homemade desserts. 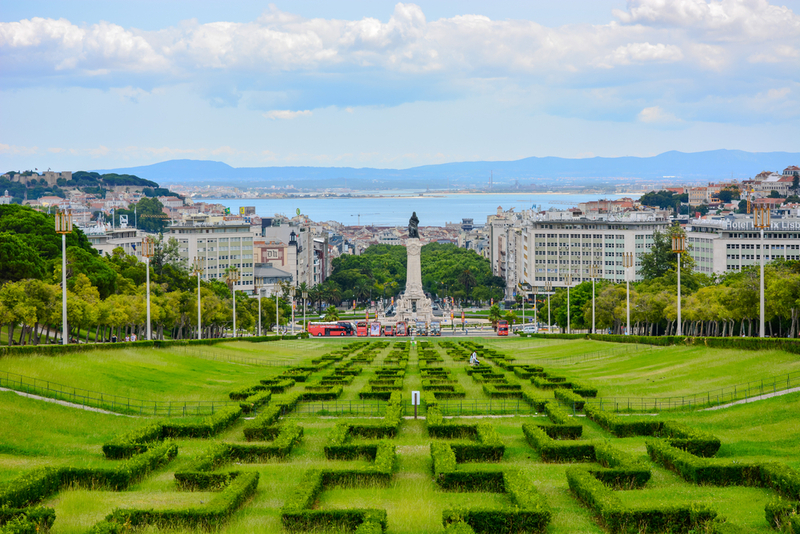 Parque Eduardo VII is the biggest park in central Lisbon, located to the north of Avenida da Liberdade and the Marquess of Pombal Square. The park was named after Britain’s king, Edward II, who came to the city on a state visit in 1903 to strengthen Anglo-Portuguese relations. Parque Eduardo VII features mosaic patterned walkways that stretch uphill throughout the whole park. The main attractions in Parque Eduardo VII are the two estufas, the so-called hothouse and the greenhouse that are both filled with a beautiful variety of tropical plants, exotic palms and cacti. Parque Eduardo VII is also home to the annual Lisbon book fair. Jardim do Torel is a beautiful and relatively hidden 19th century garden that offers a breath-taking view over central Lisbon, most notably the Liberdade Avenue. The true hidden gem is situated on one of the historic seven hills of Lisbon, providing an amazing view of Lisbon’s Baixa district. Its main entrance is Andrade Street, where you can find some small palaces and a mansion designed by the famous Portuguese architect, José Luis Monteiro. The Gulbenkian Gardens, one of the most famous and widely-known parks in Lisbon is home to the Calouste Gulbenkian Foundation, the Calouste Gulbenkian Museum and the Center of Modern Art. The Gulbenkian Gardens are one of the most culturally-oriented gardens in Lisbon, as it not only exhibits sculptural works by both local and international artists that are scattered throughout the gardens but also regularly features arts events, such as book readings. The Gulbenkian Gardens also include an open-air theater that features outstanding modern, as well as historical, theater productions. Parque Florestal de Monsanto is the largest park in all of Lisbon, and the park offers a fantastic variety of activities. The great sports infrastructure of Parque Florestal de Monsanto gives visitors the opportunity to practice all kinds of outdoor activities, such as hiking. The park also features a wide range of other events: concerts, exhibitions, fairs and theater performances. Parque Florestal de Monsanto is further divided into several protected areas, like the ecological park, the Monsanto municipal camping park, and three other great leisure and theme parks, most notably the Parque do Alvito. Centro Emissor de Monsanto, a telecommunications tower in the heart of the park, is also one of the largest architectural structures in the city.